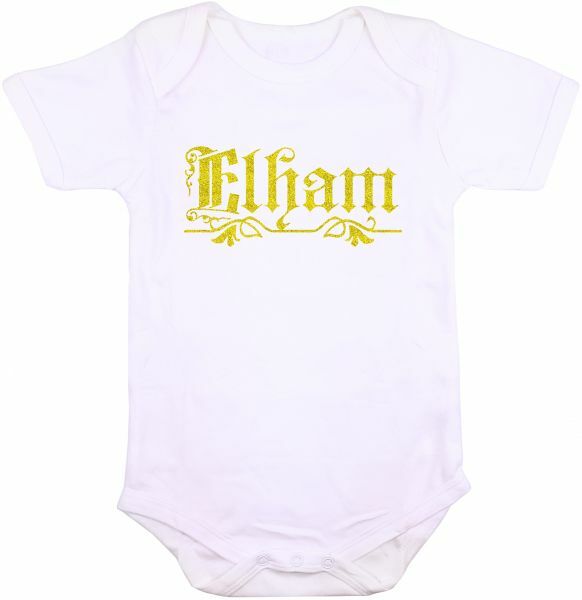 Flaunt your little one's name on a super sparkly gold glitter onesie. A stylish personalized onesie that gives a unique sparkle and shine with any outfit. Perfect for celebrating monthly birthdays, a coming home outfit for newborns, a cute gift for baby shower parties, Ramadan gatherings, Christmas and any other occasions, can be used in baby photography or just an adorable outfit of the day.